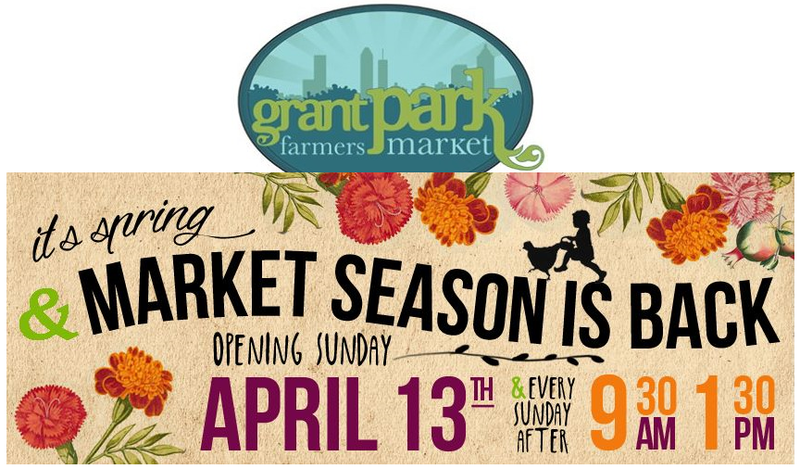 The Grant Park Farmers Market opens for the season on Sunday, April 13th..... Mr. Ferguson & I will be heading there to check out our GA farmers & their fresh produce, plus participating local purveyors and their pantry goods. This market has become such a destination for sourcing the best of what is being grown & crafted right now.... Vendors include Love is Love Farm, Sparta Imperial Mushrooms, H&F Bread Co., Decimal Place Farm, and one of my favorites -- The Little Tart Bakeshop. Also something to keep in mind for stopping by on Sunday, kicking off the season's cooking demo series is Chef David Sweeney (written previously about here + here), and it's no secret that we're his biggest fans! Chef Sweeney will be incorporating local ingredients from the market in crafting a German Spring dish, Quark Kartoffel..... The demo starts at 11am.